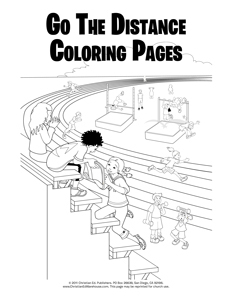 Here are some coloring pages we’ve created for the 2011 VBS programs. 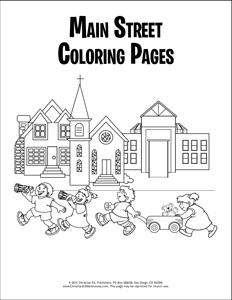 For each program, there is a coloring page for every day of VBS—a total of five pages. 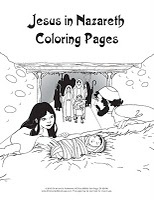 Each coloring page has the daily memory verse and the Bible theme. If you have younger children, you can feel free to shorten the verse by whiting out (or taping over) the final phrase before copying the coloring page. 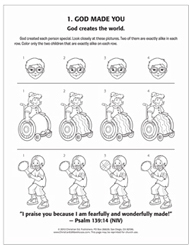 Each coloring page shows a picture to complement the Bible memory verse or Bible point for that day. 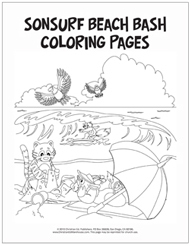 The coloring pages come in sets of five pages for just $4.99 per set. The best part is, you can make as many copies as you need! 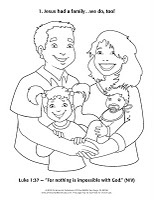 For the PandaMania VBS, there is a coloring page for the New International Version and one for the New Living Version. 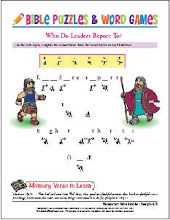 At the end of your VBS week, your students will have all five of the memory verses—a fun keepsake reminder of their week at vacation Bible school. For Go the Distance, the Mega Sports Camp VBS, the coloring pages have the daily memory verse portion in the New International Version along with the lesson focus and Scripture. Each day we've added a few more words to the verses so by Day 5 both verses, 2 Timothy 4:7-8, are shown in their entirety. If you’d like to take a look at any of these VBS Starter Kits, visit Shop VBS for more information, craft downloads, and to order your starter kits.